Sell Video Games Online Today. Do you Sell Video Games Online? Install our free E-commerce App and Sell Games in just a few short steps. Whether you are a video game developer, a collector of classic video games or are just looking to sell new games online, Ecwid makes it incredibly easy to sell video games online. With our free, feature packed and revolutionary shopping cart, you will be able to seamlessly incorporate an online store into your new or existing website in a matter of minutes and begin to sell video games today. If you have ever wondered how to sell video games online, Ecwid is like finding that hidden clue in your favorite game that will take you to the next level. You will be able to upload all of your products to your online store, manage your inventory, connect with your customers and easily handle all of the details of shipping and payment methods, all from one location. When you sell video games with Ecwid you are in complete control. Whether you are looking to sell classic scrollers, first-person shooters, role-playing games, or any other types of games, you’ll find that selling video games online and managing your store is simple, and your customers will love how easy it is to buy. Once you have signed up for a free Ecwid account, installing your store takes only a few short steps and there is no need to have any experience with coding or design. Installation requires simply copying and pasting a few short lines of code into the back end of your website’s Content Management System. Your online store will automatically blend seamlessly with your website and look great on both browsers and mobile devices. And if you are into coding or have some more advanced experience designing websites, Ecwid is also tremendously customizable, so you can tweak your store as much as you like. With Ecwid, your online store comes loaded with incredibly powerful features that help you reach a wider customer base and easily manage your business. With full drag and drop support, responsive design, and a lightning fast AJAX interface, your customers will be able to shop quickly and easily. You can also mirror your store on multiple sites, utilize social media to connect with your customers, and custom tailor all of your shipping and payment methods. If you sell video games, an online store with Ecwid will make you feel like you are a princess (or prince!). 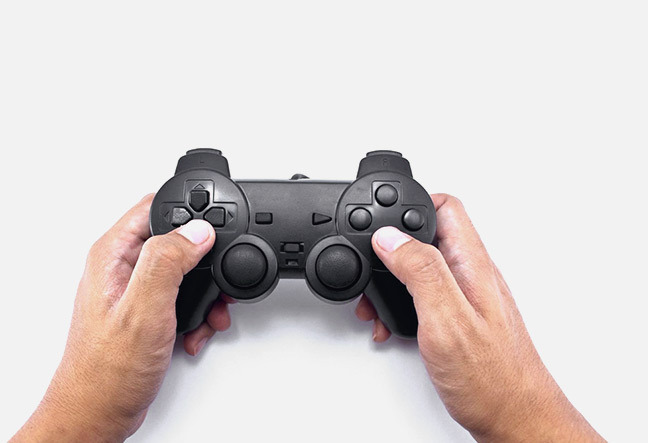 Sign up for a free account with Ecwid today and find out how selling video games online will give you the power-up you need to run a successful online store.